Last week I did a review of Summer Friday's Jet Lag Masque. This review is about a mask very similar to that one. It is about the Wander Beauty Extended Stay Hydrating Mask. This mask is also a long-lasting hydrating mask that can be worn and tissued off or worn overnight for all night use to give the skin a beautiful, healthy glow. I absolutely adore this mask. It brings tired skin back from the brink of gloom. 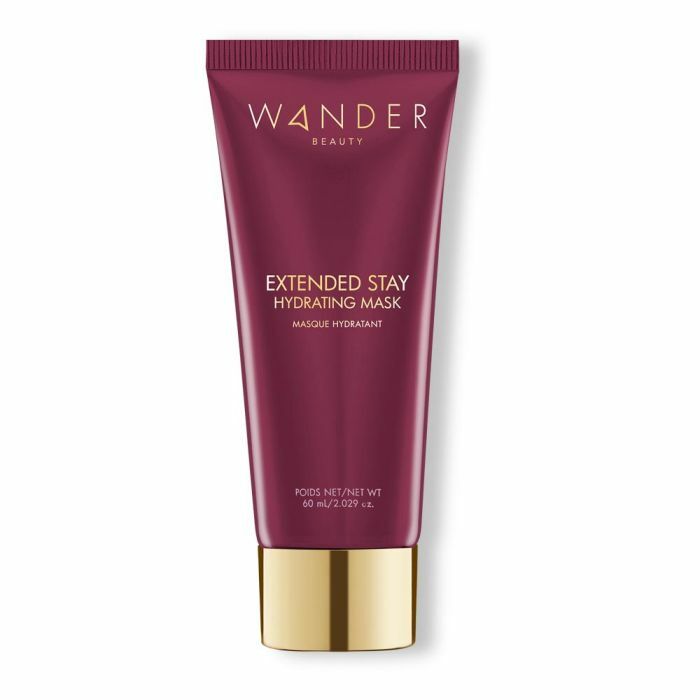 The Wander Beauty Extended Stay Hydrating Mask is a vitamin rich intensely hydrating mask that contains a blend of anti-oxidants and fruit extracts to soothe and lock in moisture. Vitamins E, B3 and B5 promote skin healing, even skin tone, and diminish signs of aging. Tea seed oil contains polypeptides that deliver potent benefits, skin soothing properties and improve the appearance of dull skin. The lightweight gel texture instantly refreshes skin without feeling sticky for leaving an oily film, instantly feels more bouncy, supple and radiant. It sinks right into the skin leaving it feeling more hydrated and better that ever. Suitable for all skin types, even acneic. Directions: Apply a generous layer and gently massage into skin using circular motions. Leave on for 15 minutes and rinse off with warm water for instantly refreshed skin. Use in the morning or at night. Leave on overnight for an extended hydration and wake up to super hydrated and bouncy skin. I prefer using the mask overnight to using it only for a few minutes. I think you get more benefits out of it that way. You definitely get better hydrated skin that way and it really works for skin that is deeply dehydrated. I would really recommend this for skin that is dry, dehydrated and mature. It not only hydrates and moisturizes but also helps brighten skin and alleviate uneven skin tone. It is a great mask to use during the winter when skin is getting whipped by wind and cold. Or during the summer if you have been sunburned. It is an extremely lightweight mask, which is why I would even recommend it for acneic skins. This mask is a lifesaver and is another notch in the crown jewel of Wander Beauty's great set of skincare wonders. It can be purchased alone or as part of the Multi-Masking Duo ($58.00). 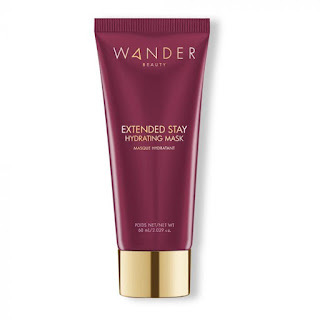 Wander Beauty Extended Stay Hydrating Mask retails for $38.00 and can be purchased online at www.wanderbeauty.com. Like Wander Beauty on Facebook: https://www.facebook.com/wanderbeautybrand; Follow Wander Beauty on Twitter: @wander_beauty; Follow Wander Beauty on Instagram: https://www.instagram.com/wander_beauty/ and Subscribe to Wander Beauty on YouTube: https://www.youtube.com/user/wanderbeauty.